It has been such a long, cold, snowy winter in the Stow. We’ve been excitedly waiting for Spring to arrive with it’s purple sprouting brocolli, spring lamb, champagne rhubarb and of course asparagus. The Walthamstowfoodies needed a sunny break so we’ve headed to Pula in the Istrian region of Croatia. 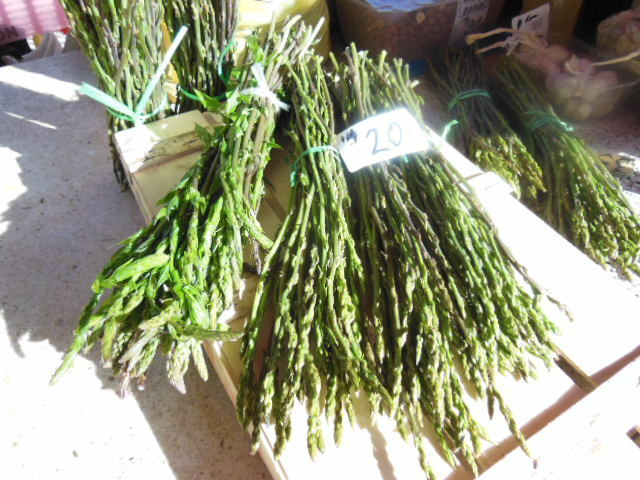 Here it is asparagus season too, the market is flooded with bunches of skinny wild asparagus as locals go to the hills, foraging for the long stalks to make amazing dishes. 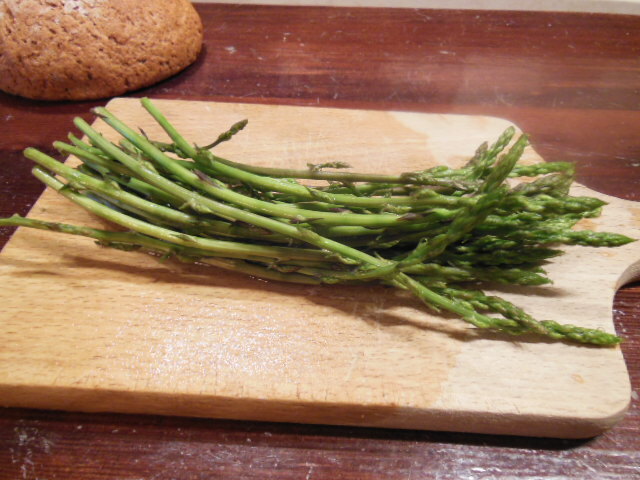 In Istria traditionally it is included in an omlette-style asparagus fritaja or combined with Istrian fuzi pasta and truffles or a risotto. 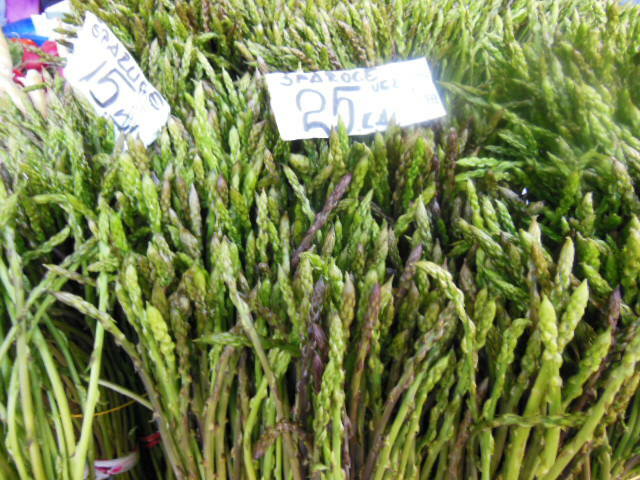 The wild asparagus has a more pronounced, bitter flavour than its cultivated cousin. It would work well with a strong flavoured goat or sheep cheese. Today we just went for a simple breakfast option, we cooked a bunch of fresh asparagus and served it with hard boiled eggs, a little bit of vinegar and good olive oil and a slice of fresh soda bread. Perfect! 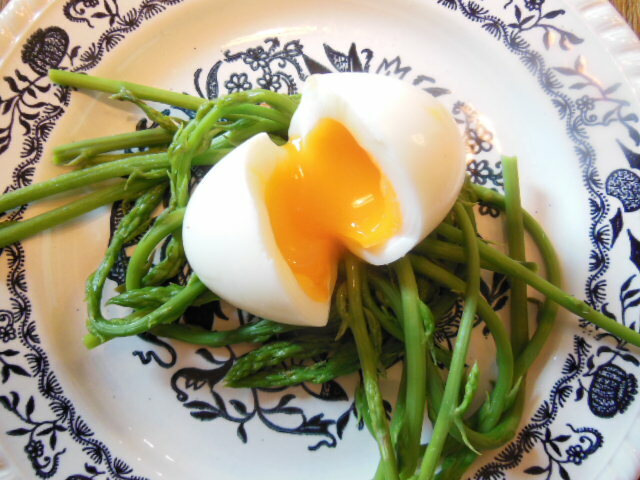 This entry was posted in Foodie Travels and tagged Asparagus, Boiled egg, Breakfast, Croatia, Foraging, Istria, Olive oil, Pula, wild asparagus. Bookmark the permalink.